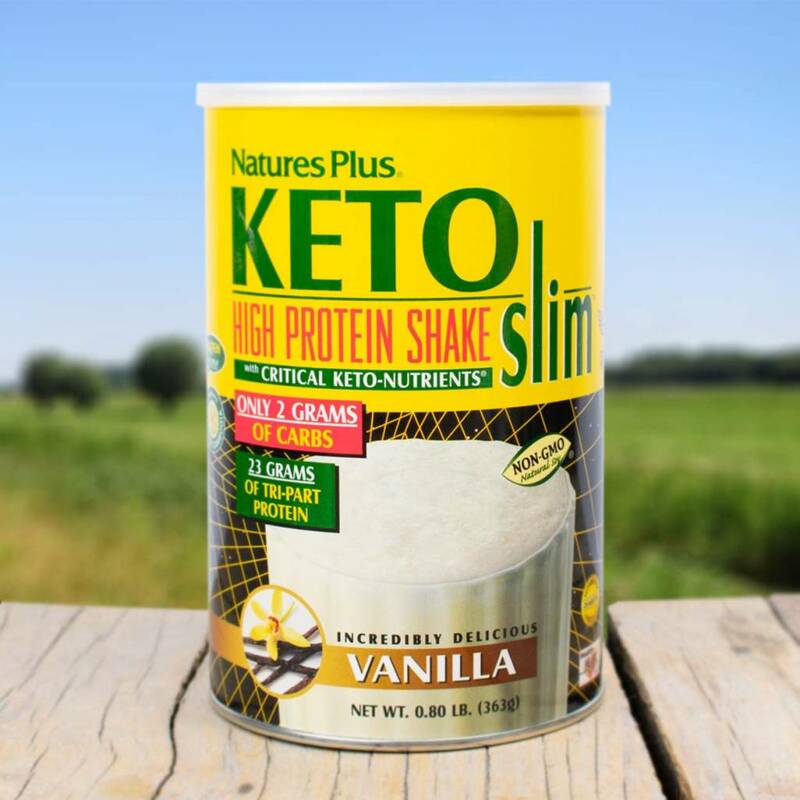 KETOslim Shake has only 2 grams of carbohydrates and 23 grams of vegetarian Tri-Part Protein, including 7.6 grams of isolated, non-GMO soy protein, in every delicious serving. KETOslim Shake is an ideal quick meal or snack to complement a low-glycemic or diabetic lifestyle. KETOslim Shake supplies a broad range of Critical Keto-Nutrients, including key vitamins, minerals and metabolic enhancers, such as CitriMax®. KETOslim Shake includes nutritional reinforcements: a proteolytic enzyme blend, spirulina, Critical Flora, carnitine, and a Whole Food Blend of 50 fruits and vegetables, like broccoli, spinach, apple, and apricot. KETOslim Shake is very convenient, easy to prepare and designed for everyday use. Critical Vitamins and Minerals - For maximum energy levels and total well-being. Critical Metabolism - Supports healthy metabolism with proven dieting aids, including CitriMax®, carnitine and taurine. Critical Green Whole Food Blend - Provides abundant phytonutrients and trace elements found in fruits and vegetables. Critical Flora - Essential for proper digestion and overall well-being. Critical Enzyme - Vital for optimal digestion. Satisfy your sweet vanilla craving and replenish the vital, energizing nutrients your body demands TODAY with KETOslim Vanilla Shake!